Thursday afternoon, Media Research Center President Brent Bozell sharply criticized the establishment press for ignoring damning new information about how Russia, according to a blockbuster report at The Hill, gained "control of more than 20 percent of America’s uranium supply." Two-and-a-half days later, the Associated Press has finally reacted — by treating the report as a mere "reprise" of old news. Re-airing campaign allegations, President Donald Trump is pointing to an Obama era uranium deal as the "real Russia story" in contrast to a broader inquiry into Russian meddling during the 2016 election. "That's your real Russia story. Not a story where they talk about collusion and there was none. It was a hoax. Your real Russia story is uranium," Trump said during a meeting about Puerto Rico's hurricane recovery. Thomas's truth avoidance is a sight to behold. The inquiry into alleged Trump campaign-Russia collusion may be "broader," but it has come up with nothing of substance after over a year of bogus claims and over five months of harassing investigations by Special Counsel Robert Mueller. Instead, we've seen a parade of supposedly alarming items based on anonymous sourcing routinely exposed as fake news, usually within 24-48 hours. 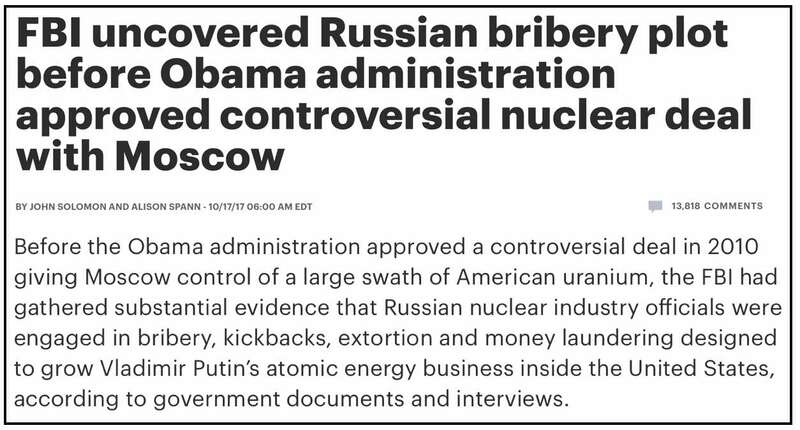 Note that it's good enough for Thomas that "Democrats have debunked" the idea that corruption was involved in the 2010 uranium deal. So? Since when does a political party "debunk" cold, hard facts? 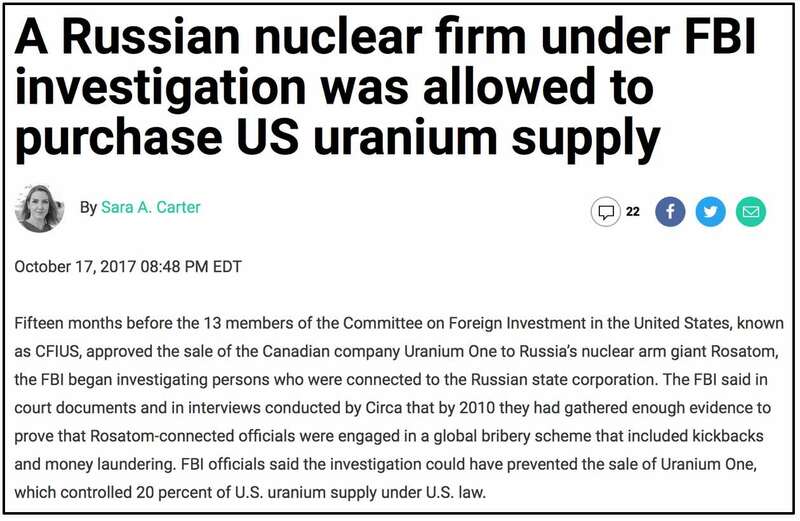 Thomas knows darned well that readers would and should be interested in the amount of money which flowed into the Clinton Foundation coinciding with the Russia-uranium deal. The only plausible reason he didn't disclose it is because he and the AP don't want readers and subscribers to grasp the breathtaking scope of the corruption involved. A rundown of more current information Thomas left out of his dispatch would require copying and pasting nearly all of both The Hill's report and subsequent findings reported at Circa.com. 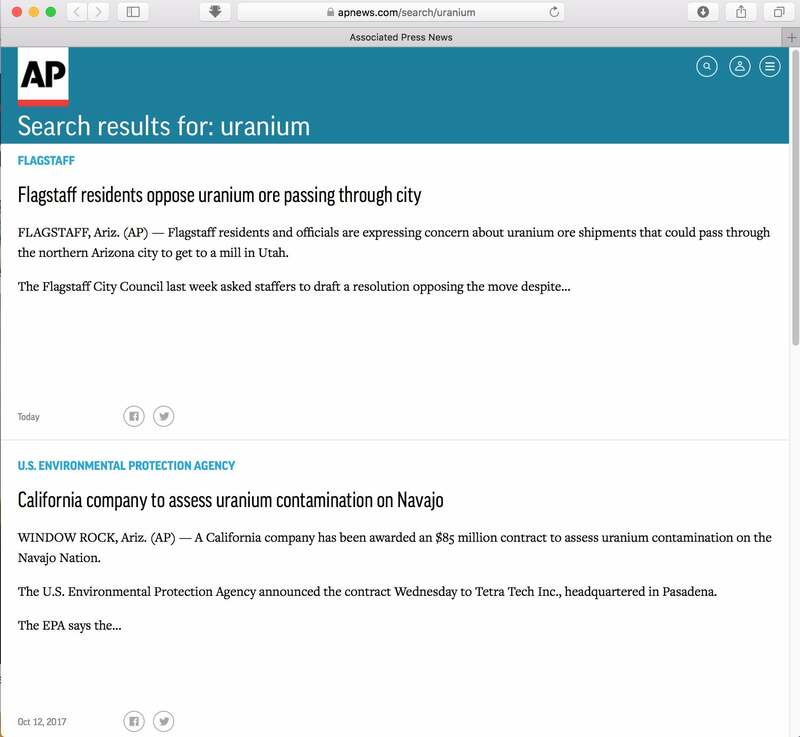 Though each report should be read and understood in full, we'll have to settle for presenting their headlines and opening paragraphs, each of which makes it sufficiently obvious that the Associated Press and Ken Thomas have no interest in communicating the truth. Bozell was absolutely correct to call out the press for its past two days of negligence in asserting that "The media’s censorship of this scandal is irresponsible and unacceptable." Thanks to the Associated Press and Ken Thomas, we can add "deliberately deceptive" to Bozell's critique.